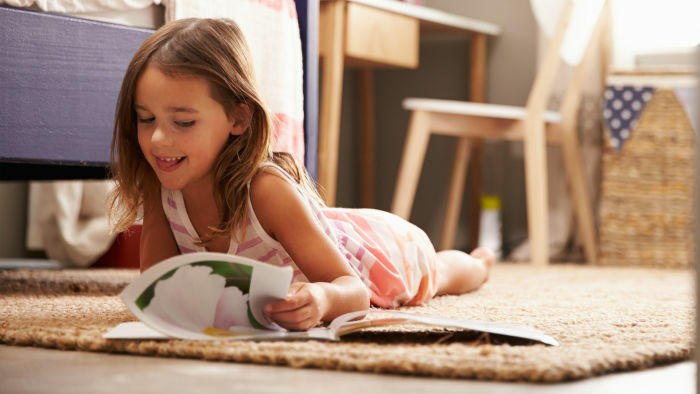 Create a distraction-free reading zone at home to help kids engage. My own love of reading was cultivated in an era with fewer distractions than today. At that time, all of our play was physical and concrete—we played with hands-on toys and games, we rode bicycles and played outside (which held opportunities for all sorts of mischief). I recall putting on plays, experimenting with art supplies, some television, and lots of books. Reading offered both privacy and companionship, an opportunity to focus and contemplate, but also indulge the imagination. Things are different today. Adults and children are caught in a blizzard of digital entertainment streaming from various devices that compete for our attention. There is no doubt that this new reality has impacted the way we read and engage with books. Create a reading environment free of clutter. The fewer objects that can capture your child’s attention, the better. Place a small chair next to a bookcase and fill the lower shelves with a variety of books. This can be their little reading nook! Have a comfy chair or beanbag for children to sit on. The physical comfort helps kids relax their bodies, which in turn facilitates attention and focus. Ritualize the opportunity to read. For very young children, the ritual of a bedtime story is the enchanting portico that leads to more reading. Consecrating the event early on acknowledges that reading time is special, even as children get older and read on their own. Having a special hat to wear or a pillow to sit on just for reading designates that reading time is distinct from other activities. 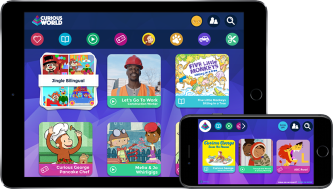 Give your child ample opportunity to share what they have read. Remember, a joy shared is doubled! Ask some simple questions about your child’s reading experience to encourage engagement such as: Who was your favorite character? What did you like about the story? How did the book make you feel? Model a love of reading. Whether you show your kids the stack of books on your night table, or point out how much you love to read the newspaper with your morning coffee, highlighting the ways that reading enriches your life will help them understand the importance and enjoyment of literacy. To create an environment that is conducive to reading, young children need our time and attention. By finding and nurturing those simple moments of focus, we can enjoy “living” in our children’s worlds and be present as they share in ours. Share with us on Facebook how your family fosters a love of reading at home!